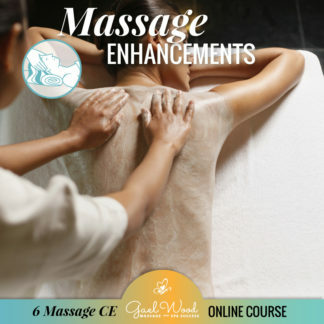 ​Add full-length spa services to your ​wellness ​practice! Even if you don’t currently run your own business, these services can help you land a better job, or earn more where you currently work. Imagine more variety in your day, giving your body a break from deep tissue massage, and bigger paychecks! 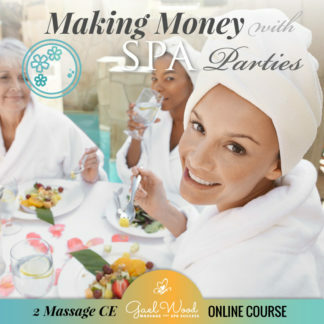 You may be thinking, that you’ve tried doing spa services, but nobody really books them! I know how you feel, and this can happen for several reasons. You may not be offering the right services for your clients, or you may need help with exactly how to position and SELL your spa services. Learn New Services, Create Your Plan, Implement & Grow Your Business! In addition to the videos you will receive a printable step by step workbook for each service. Workbooks includes a supply checklist, complete service protocol and educational material on benefits and contraindications. Can you afford NOT to invest in this opportunity? Start NOW, learning the new skills that you will use for the rest of your career.